Iran’s officials lined up on Tuesday to criticize Pakistan over the killing of a kidnapped Iranian border guard by Sunni insurgents last week. The Baluch insurgency Jaish ul-Adl, which has carried out a series of attacks on Iranian forces since last summer, seized five border guards in Sistan Baluchestan Province in southeastern Iran on February 6. They took the men across the border into Pakistan, demanding the freeing of 300 detainees from Iranian prisons in return for them. Last weekend the group announced that it had hung one of the guards and would kill another in 10 days. 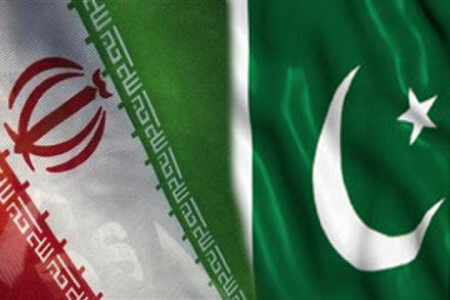 Iranian officials have repeatedly expressed their dissatisfaction with and concern about acts of terror in border regions and the Islamic Republic of Iran has stressed the need for necessary measures by Pakistan to prevent terrorists from crossing and using Pakistani territory. There is no sign of a resolution to avoid another execution. A judiciary official in Sistan Baluchestan Province denied that Jeish al-Adl had put any demands for release of the four remaining guards. Following speeches in which he implicitly said the 2009 Presidential election was fraudulent, former President Hashemi Rafsanjani has made further moves against hardliners, including those challenging President Rouhani. The former President then explained in an interview why he was disqualified from standing in the 2013 Presidential election, criticizing the Guardian Council and its head, Ayatollah Jannati — and indirectly chiding the Supreme Leader. Rafsanjani’s new memoir, “Sazandegi va Shokoufaee” (Construction and Efflorescence) will soon be published. The book focus on 1991, when Rafsanjani was in his first Presidential term, as the Guardian Council introduced a new legal interpretation that marked the beginning of efforts to remove reformists from both the Assembly of Experts and Parliament. The Supreme Leader has declared that the Iranian people can defeat its enemies through unity, faith and resistance. Ayatollah #Khamenei: Do not let the memory of the holy defense era fade away from hearts. Seize the opportunity of #Rahian_e_Noor movement. The #holy_defense (1980-88) showed that a #nation can overcome all difficulties in the shadow of trust in #God. Some seek to “denounce” that era & particularly @IRKhomeini’s stances, as they know that era is unforgettable and bears great influences. Yunesi’s comments follow recent criticism of the Charter by hardline critics of the government, including Ayatollah Mesbah Yazdi, the leader of the hardline opposition Endurance Front. Yunesi also announced that he will establish the Sunni Consultative Council and advocated for more Sunni rights in the country.